In the November 1914 issue of Poetry, Harriet Monroe wrote about one of the contributors: “Mr. Wallace Stevens [is] unknown as yet to the editor.” The following year, after she accepted another of his poems, “Sunday Morning,” for publication, Stevens would write to her the simplest of biographical notes. 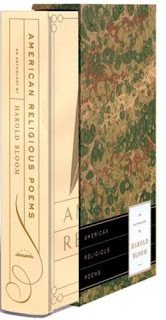 “I was born in Reading, Pennsylvania, am thirty-five years old, a lawyer, reside in New York and have published no books.” With the confidence of an editor dealing with a new author, Monroe would print only five of the poem’s eight stanzas, rearranging their order and altering the wording. Eight years later, Stevens would finally publish the original poem—with all eight stanzas intact and restored—in his first book, Harmonium (1923). In the meantime, his poems and plays had achieved moderate notice from writers and critics; in 1916 he won a $100 prize for best one-act play in verse, Three Travelers Watch a Sunrise (staged by the Provincetown Players in 1920 for one performance), and his poetry had been published in a number of “little” magazines and reprinted in a scattering of anthologies. Yet, other than a few notices (incuding a positive review by Marianne Moore), Harmonium was largely overlooked and, in a letter to Monroe, Stevens indicated that his “royalties for the first half of 1924 amounted to $6.70.” Undoubtedly discouraged, Stevens wrote relatively little during the next few years, earning his living at the Hartford Accident and Indemnity Company (he would become its vice-president in 1934). “Sunday Morning” opens with a description of a woman lazing in her dressing gown (peignoir). “In that comfort, that complacency or lack of urgency due to her presumed station in society,” critic Harold Bloom writes, “she is able to muse, to ‘dream a little’ on religious matters. So genteel are her environs that even the bloody Crucifixion becomes the ‘holy hush of ancient sacrifice.’ Her comfort seems to ‘dissipate’ the reverence of a Sunday. . .” The remainder of the poem is a meditation on her meditation; the woman “speaks” twice in the poem but the stanzas, notes Rehder, “record her thoughts and feelings—part meditation, part daydream.” She ponders and questions her beliefs—much as Stevens during his lifetime had questioned his own religious heritage. The holy hush of ancient sacrifice. . . . If you don't see the full poem below, click the right button at the top of the reader to view the file in Google Docs or click here (PDF) to read it—free!